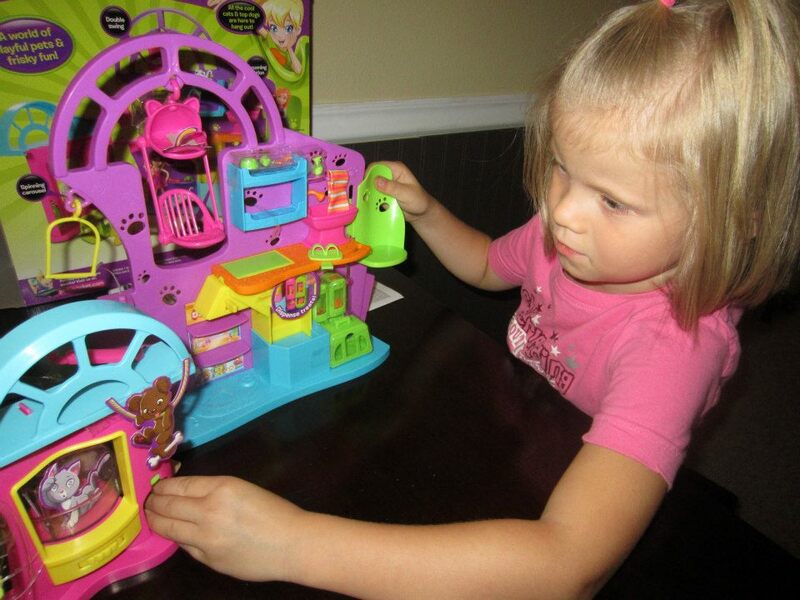 So this was our second shipment that we were to receive of the Polly Pocket review. I did not tell my children that they were coming. They were still playing with the first set of toys. So when this one showed up in a brown box they asked what it was. “Oh… nothing” I said. Then I smiled and told them what it was. They were so excited that you thought it was Christmas in our home. 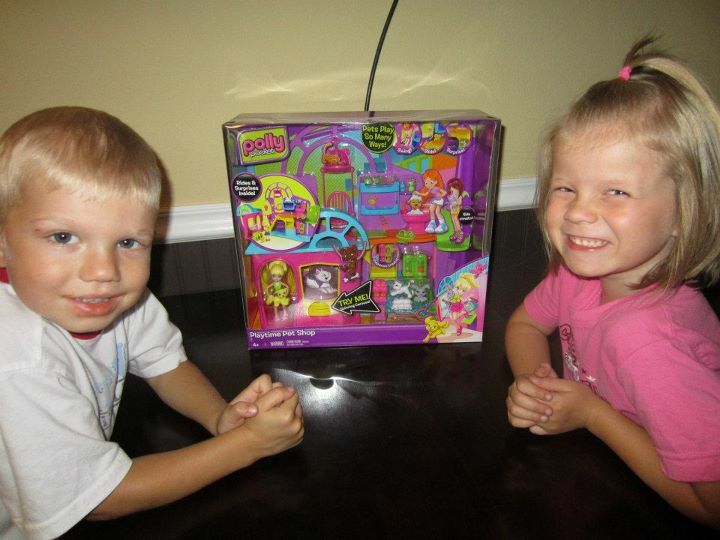 We opened the box and I helped them put it together. Normally they don’t work well together but they were helping each other very well. This set is called the Polly Pocket Playtime Pet Shop Play Set and it came with a Polly Pocket DVD, which I will get to later. The Pet shop was so cute. Had tons of activities for the kids to play with… even a little slide. My daughter’s favorite was the little doggy bone dispenser though. She just thought that was the cutest thing ever. You would fill up the doggy bones on the top and then when a doggy needed a bone you would press the little lever. They really thought of everything when making this toy. Imagination when crazy! Every day I still catch my 4 year old son playing with it. He loves animals so its fun watching him make little animal sounds while he is trying to be a little engineer (like his daddy) at the same time. We also received a Polly Pocket DVD. All I can say is that the DVD is not long enough. They could’ve watched it all day long. My kids just loved it! My son too. They both were glued to it and I think they have watched it 20 times by now. I actually watched it a few times with them. Very cute and informative movie. Teaches the kids manners while they enjoy watching their favorite characters. I think my daughter is going to want to be Polly Pocket for Halloween now. 🙂 They did a really good job keeping the kids entertained through out the whole movie! !